One day A Chama leader was chairing a meeting and noticed Lisa, an otherwise talkative lady sitting in the meeting looking sad and upset. She could barely say a word. “What’s the matter, Lisa?” the Chama leader asked. The truth was, Lisa was facing a common problem in Chamas: She felt left out and her feelings were hurt. Lisa was so sad that she did not want to speak. Fellow Chama members were ignoring her. What happened? Cliques are groups of friends, but not all groups of friends are cliques. The thing that makes a group a clique is that they leave some Chama members out on purpose. Usually one or two popular members control who gets to be in the clique and who gets left out. Chama members may act much differently than they did before they were part of the clique. They may even act differently today from how they were yesterday. It can be really confusing. Sometimes Chama members form groups that they won’t let other members belong to. 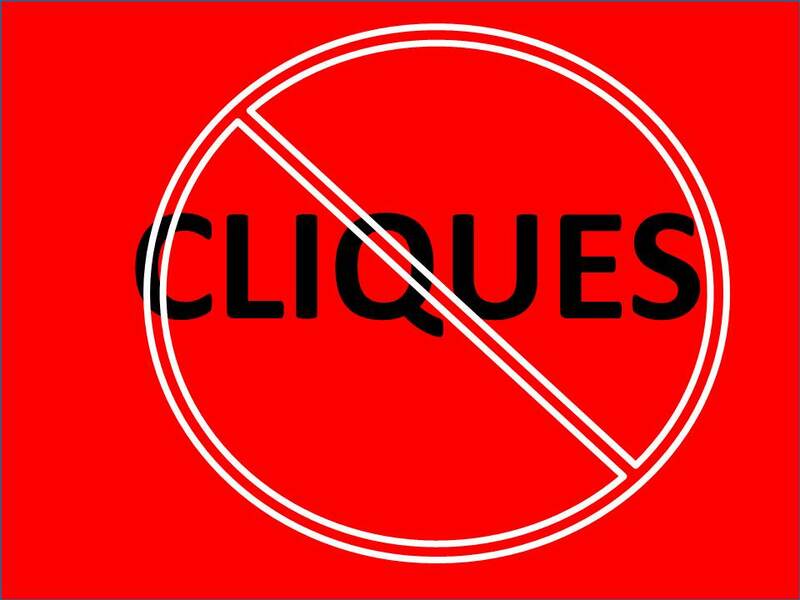 A clique is a group of Chama members who hang out together and won’t let others join in. Sometimes members in the clique are mean to other members they think are on the outside. At times cliques are made of members who share an interest in something, like fashion or prayer group or live in the same area. Sometimes the members in them want to be popular or want to belong. They might say you can only join in if you wear certain clothes, or they might make you feel bad if you don’t live in the same area in which they live. If you are on the outside of a clique, it can make you frustrated and confused. Maybe someone who was your friend last week was mean to you and would not speak to you during the Chama meeting. It can make you feel like crying or just feel really angry or sad. You might feel lonely during Chama meetings or even afraid if you feel that someone might pick on you or argue with you. You might be frustrated or upset because you don’t know what to do. You might feel hurt because of the ways other Chama members keep you out. So, what types of cliques are to be found in Chamas? Old Chama members have a tendency to form cliques that exclude new members. Veteran cliques may not be as apparent when only one or two new members join the Chama at a time, but they can become more obvious when a whole new group of members is brought into the Chama at the same time. Chama members who knew each other from other circles before they joined the Chama, such as school, a social group or a workplace can form a clique based on that shared history. These types of cliques can easily form during Chama breaks, when the conversation flows more easily among people who have a shared knowledge of the same topic. The best strategy for interacting with Chama cliques is to pay them as little attention as possible. While some individuals are more social than others and feel the need to be accepted even in the Chama, the simple truth is you don’t go to Chama meetings to make friends. True investors understand that their role in the Chama is to complete their responsibilities with as much decorum and professionalism as possible. Stay away from cliques — simply don’t. It’s not worth your time, emotion or energy. There are a variety of strategies Chama members can utilize to avoid cliques altogether, whether they’re good or bad. Most importantly stay focused on the Chama goals. This is particularly crucial to people who are new to a Chama. If you find that you don’t have enough to do ask for more responsibilities. Effective Chama leaders appreciate Chama members who would rather concentrate on the project at hand than immerse themselves in trivialities. Lastly, and perhaps most importantly, be diplomatic. While it’s true Chamas are not exclusively for building friendships, mature Chama members understand the maturity it takes to get along with all of their Chama members despite personal differences or other relationships.